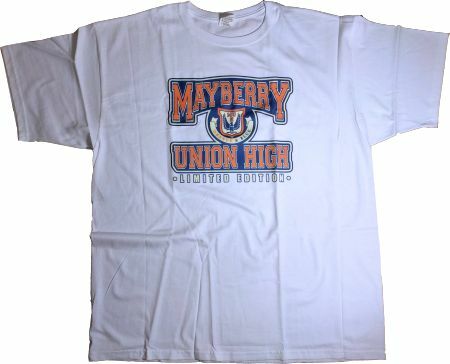 Mayberry Union High...victory is yours well nigh...we'll hit the line for points every time...the orange and blue will try, try, try, try... Sorry, we get carried away with school spirit. And now you can too with this T-shirt. We have one small available in the white. All sizes are available in the ash (gray).